1&1 Internet Inc., www.1and1.com, the world’s largest Web host by known servers, today announced a new server category with highly flexible configuration options – the Dynamic Cloud Server. RAM, virtual CPU cores and disk space can be individually customized and adapted on-demand. In doing so, users only have to pay for the capacities that they need, for example, for websites, online shops, game servers or Web applications. When ordering the product, the user determines the basic settings, including the preferred operating system. Several Linux variants are offered as well as Windows Server 2008 R2 in Web or Standard edition. 1&1 also offers recommended configuration settings for standard server applications such as email, database, Web hosting or a game server. Should the server load change over time, perhaps because an advertising campaign achieves an increase in website traffic, the configuration options can be adapted via the Control Panel, which is highly intuitive and easy to use. In this way, users are free to select up to 4 virtual processors, between 1 and 15 GBs of RAM, as well as between 100 and 800 GBs of disk space. With the Dynamic Cloud Server, it will also be possible to change between Linux and Windows operating systems though additional fees will apply for a Windows OS. Currently, customers purchasing new packages are eligible for $49.99 off of their Dynamic Cloud Server package for the first 3 months if they commit to a 12 month agreement. The virtual CPU allotment, RAM or disk space can be changed daily. Billing for these features will be made monthly. The Basic package of the Dynamic Cloud Server is priced at $49.99/month and includes 1 virtual CPU core, 1 GB of RAM and 100 GBs of disk space. Each additional virtual CPU core and extra gigabyte of RAM is available for $15/month. Customers can also purchase parcels of 100 GB of disk space for only $10/month. As a special introductory offer, the 1&1 Dynamic Cloud Server basic package is offered free for the first 3 months, a $149.97 value. The virtual processor cores of the multi-core AMD Opteron 2352 CPUs each deliver 2 GHz of processing power. Furthermore, the product includes, at no additional cost, 1 domain name for as long as the customer keeps their package, 100 email accounts on the 1&1 email system and 2,000 GB of traffic included with a 100 Mbit port speed. Additional IP addresses, domain names and other features can easily be added at any time via the customer’s control panel. 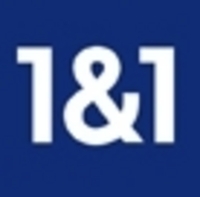 For more information on 1&1 Internet or the Dynamic Cloud Server, visit the website at http://www.1and1.com.